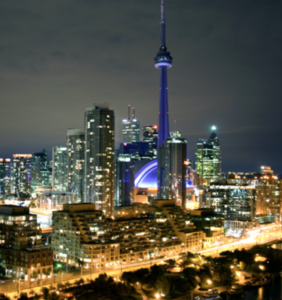 Why is Toronto's Real Estate Market Picking Up After a Lull? Anyone familiar with the current real estate market knows about the little lull that Toronto, Canada has been going through. 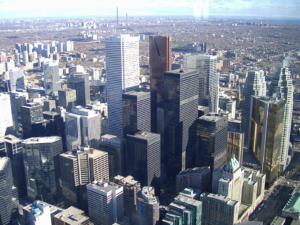 Fortunately, market trends have been showing a significant increase in the Toronto real estate market. It is too soon to figure out how exactly this market increase will end, but some of these sales suggest stability within the ever-uncertain real estate industry. Previous trends haven’t alluded to this real estate market boost, so it is indeed taking some people by surprise. 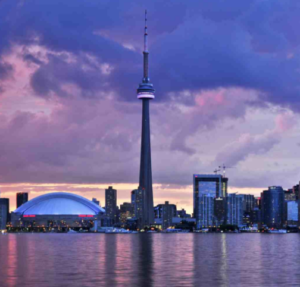 The currently hot Toronto real estate market is surpassing even some of the most significant United States markets (when looking at their respective rising prices). For example, a lovely home in the upscale area of South Hill was recently put up for sale and within the first three days of the home being listed the owners received multiple offers. The home ended up selling for $100,000 more than the original asking price, which was around $3.65 million. Another example is a property located in the popular area of Mississauga that was listed during the fall of 2016 for around $3.5 million asking price. This lovely property combined with the coveted area of Mississauga gave the owners high hopes for the ease of selling their property. However, this property stayed untouched all through the fall and then into an even more prosperous market in the spring. Before long, summer has rolled around, and the property still hadn’t sold. But just recently, this property was snatched up by a buyer for the original asking price. In past real estate market trends, summer months have always slowed down a bit. In contrast, the spring and fall markets have frequently been much more vigorous and fruitful for real estate. Real estate agents have been keeping an eye on the progression of things as properties have run through busy fall markets into even better markets in the spring before they casually slip into the summer still without having been sold. However, this market burst is changing things. These properties are now selling out without the owners even having to compromise by lowering their asking prices at all; this is primarily true for those who have a reason to be selling their home as opposed to those who might just be listing their home to test the market. People who are testing the market tend to pull their property off the market if they aren’t getting the offers they were looking for. Another common type of seller behavior is the “casting a line” strategy where the seller just tries to go fishing within the current market to see if they can get their fish. If they do not, they tend to take their property off the market, unlike the sellers who have a reason to sell their property who tend to just sit and wait. Toronto has been experiencing some sluggish times within its real estate industry, but its past isn’t holding it back now. This vast market increase happened just in time to allow owners to keep their original asking prices, and occasionally get even more than the price they were asking for. A great example of this quick market increase is a property located in the coveted area of Oakville, within the River Oaks neighborhood. This house was listed during the late spring and had an asking price of $1.2 million, which is a very good price for a lot of prospective buyers in the Oakville area. The location was also very in-demand, making it seem like an easy sell. By that summer, more than 30 properties (including this one) were listed in that same area, but nothing was happening. Just recently, this house sold for about $1.1 million – and the other properties are sure to follow. This past year, the Ontario government has attempted new measures geared towards cooling down the red-hot market around Toronto. These measures make some prospective buyers and sellers wary of the market becoming uncertain and unpredictable, while other sellers rush to get money for their properties and end up surging the listings. Some of these measures included adding a 15% tax on homes within Toronto that were bought by foreigners who are not residents of the country. This worked, and prices quickly dropped, but this was not a permanent result. 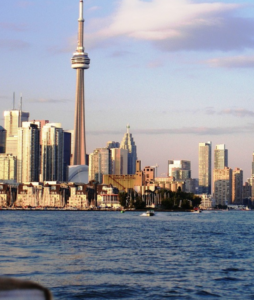 Over the summer, the Toronto real estate market lulled for a bit while both buyers and sellers watched and waited to figure out how these new measures would impact the market. Now that both buyers and sellers have had time to examine the effects of Ontario’s cooldown efforts, buyers are beginning to return. The market is still looking hot, and even in areas were listings are still just sitting (like some properties in River Oaks, for example) one sale could lead to more. Having a completed sale helps that area’s market because it adds a new frame of reference for the location’s benchmark price. There have been several cases of price declines in some of Canada’s major real estate markets, but prospective buyers shouldn’t get too excited just yet. Prices are still up compared to last year, and experts predict that they will remain this way. This talk of slow down can be traced back to the price drops caused by Ontario’s efforts to cool the market down. Although the Toronto real estate market continues to stay strong, setting a reasonable asking price is a vital part of selling your property. Another key aspect that sellers must keep in mind is timing – timing is everything. From listing it at the proper time to setting an offer date, every listing has a unique situation and may have different timing requirements to ensure it gets sold. Some people choose to wait it out and slowly decrease their price while other sellers might retreat and list their property for sale at another time.